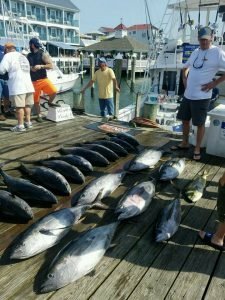 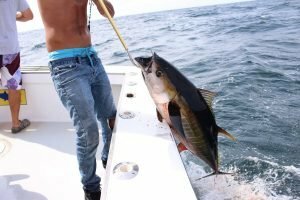 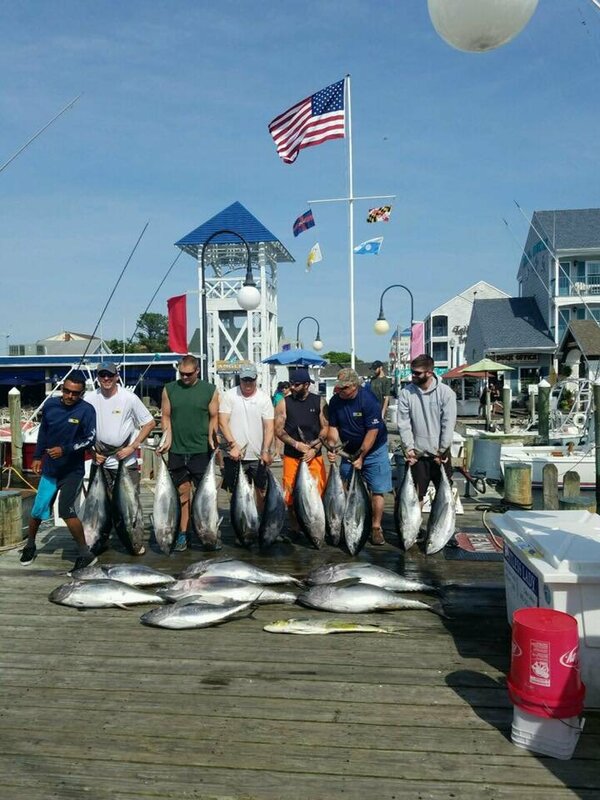 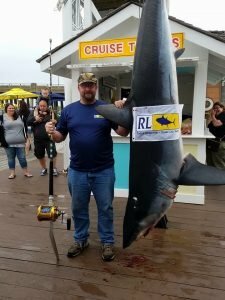 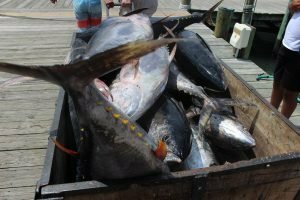 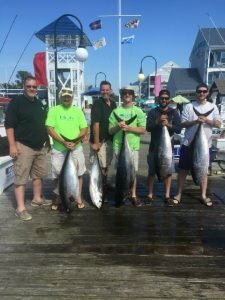 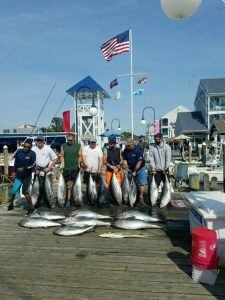 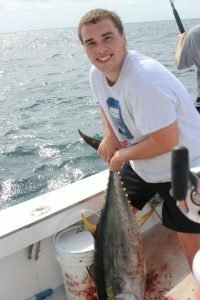 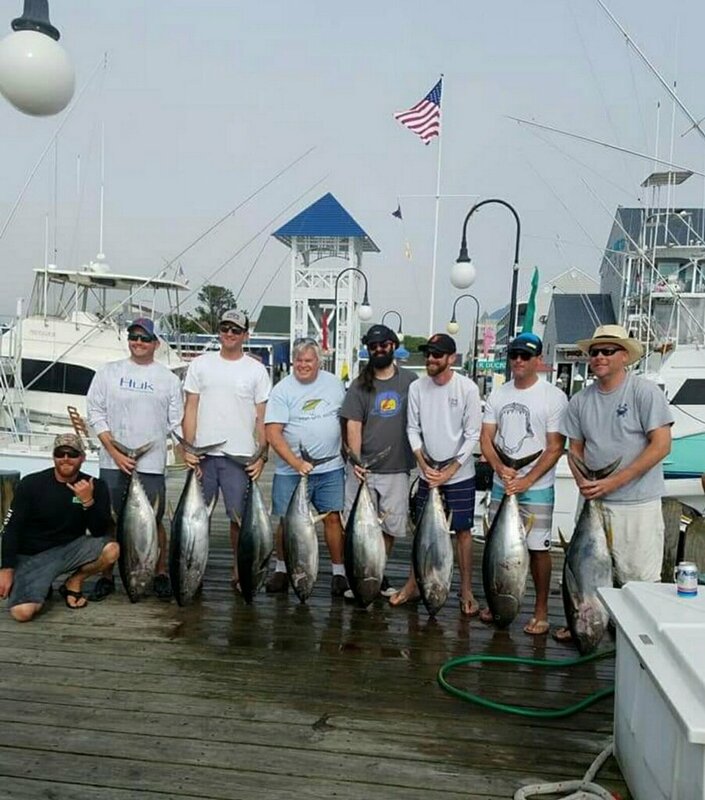 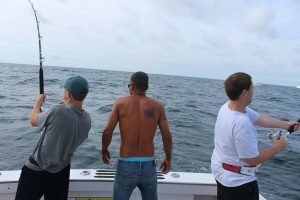 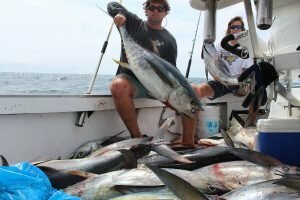 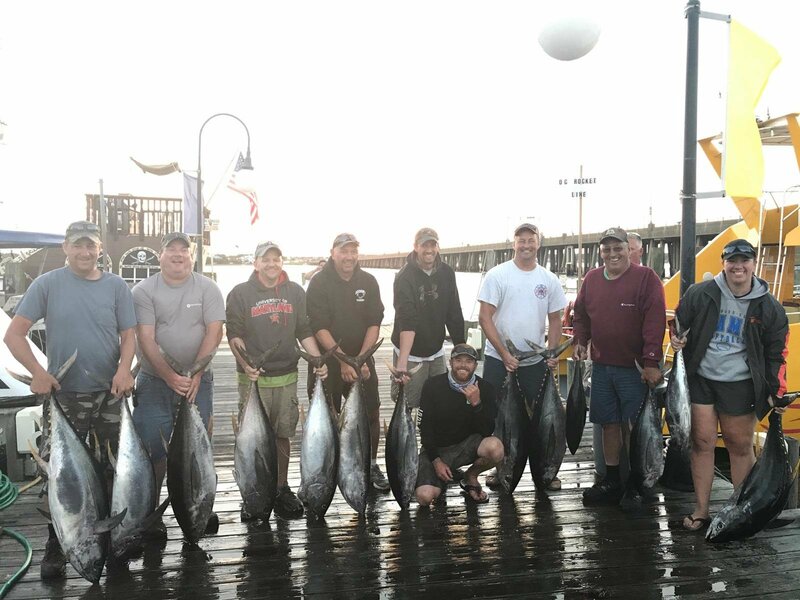 The Atlantic Ocean provides the best fishing in the world, with a large concentration of prize fishing just off the shore of Ocean City, MD. 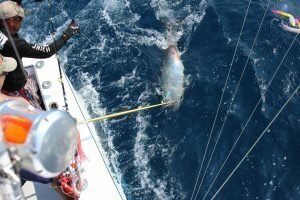 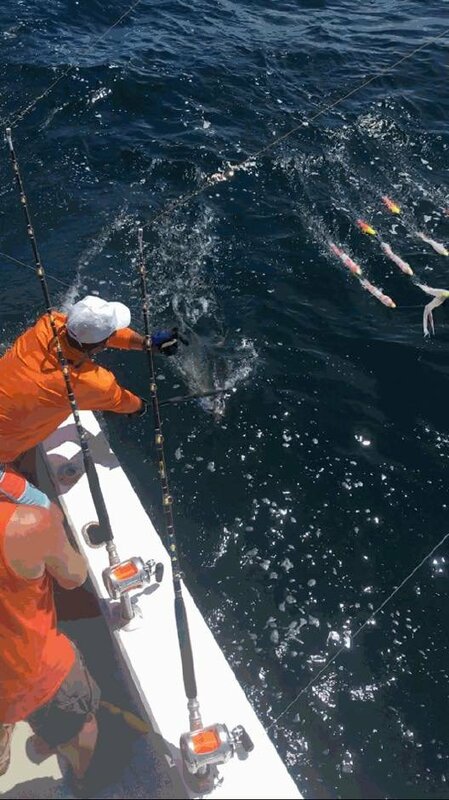 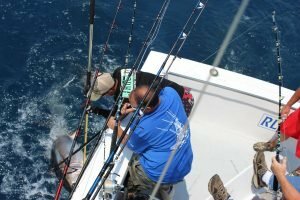 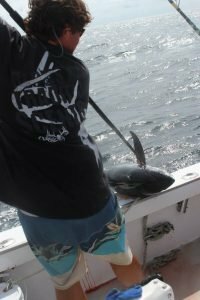 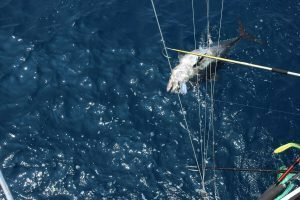 Restless Lady has the knowledge, experience, and skills to position you in the ideal spots for catching everything from Tuna to Shark to Marlin. 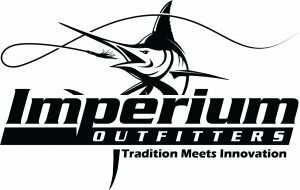 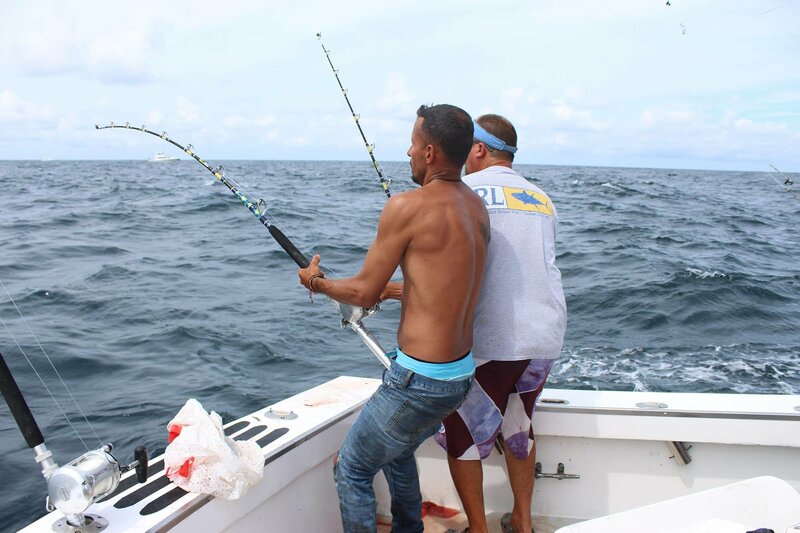 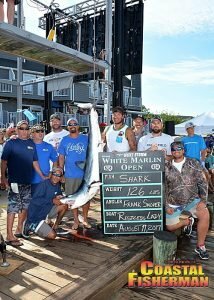 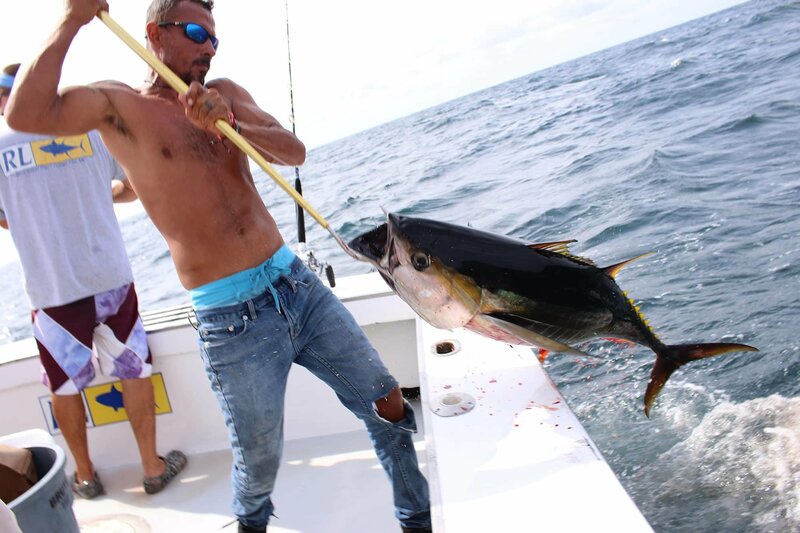 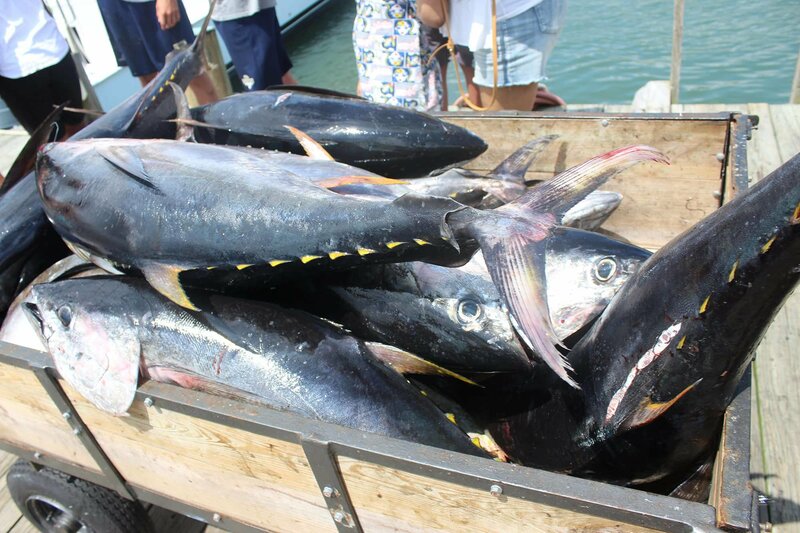 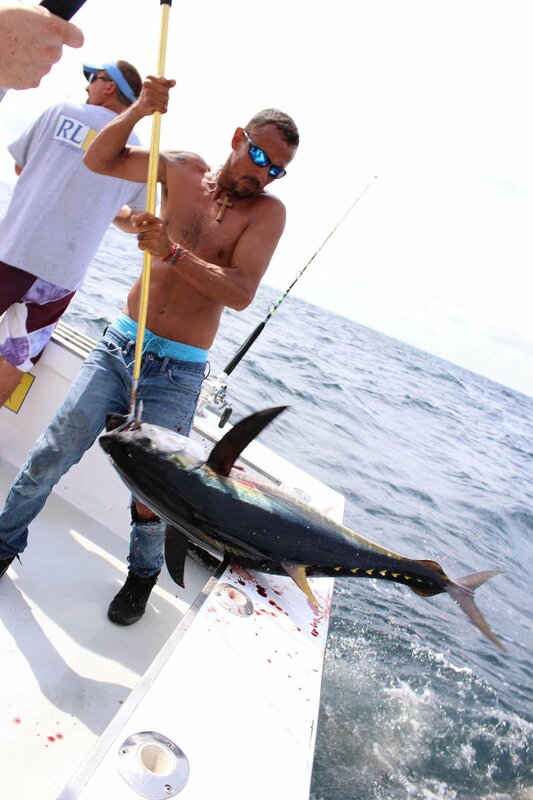 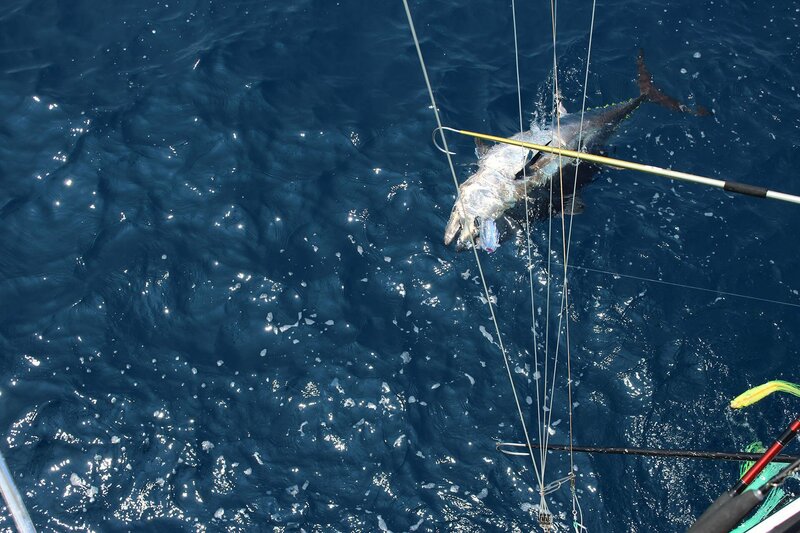 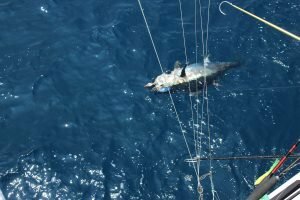 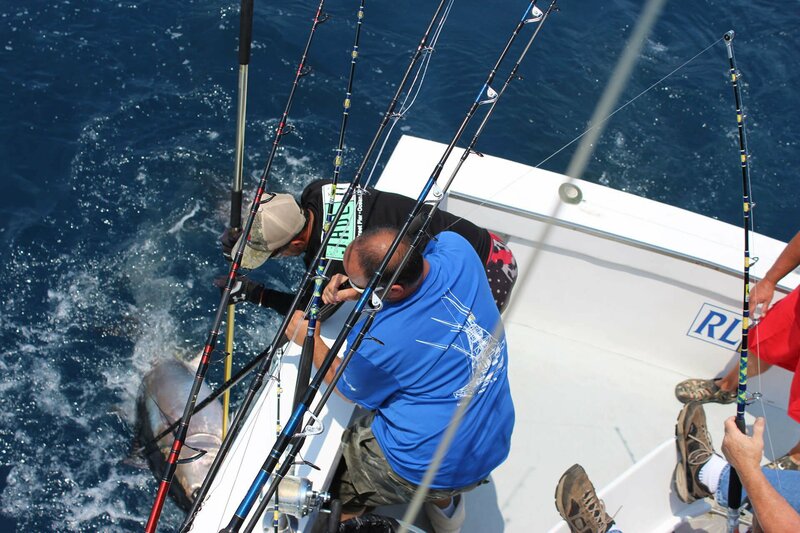 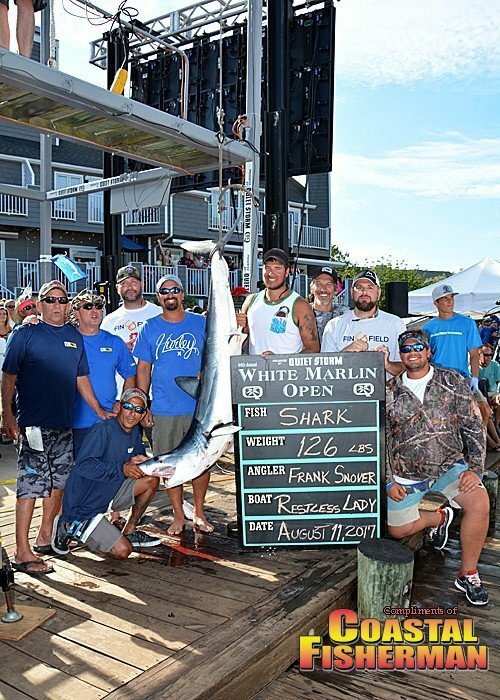 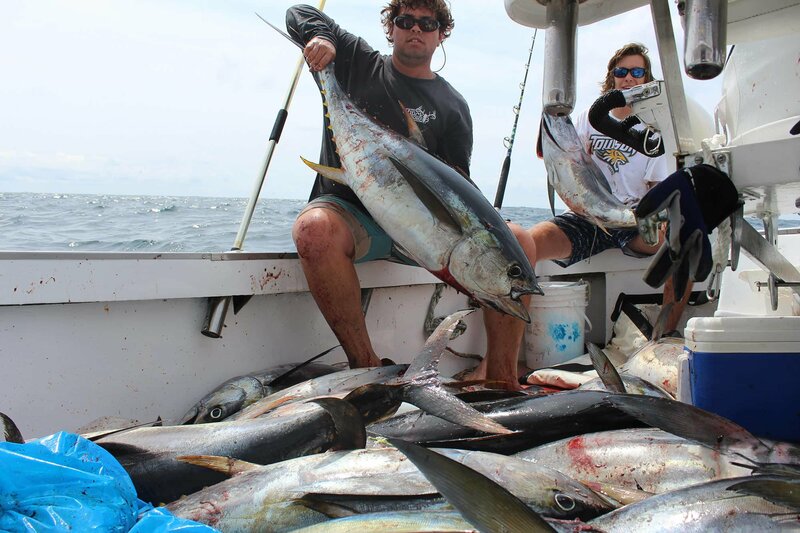 Between the vibrant fishing season and the Marlin, Tuna and Shark Tournaments held throughout the year. 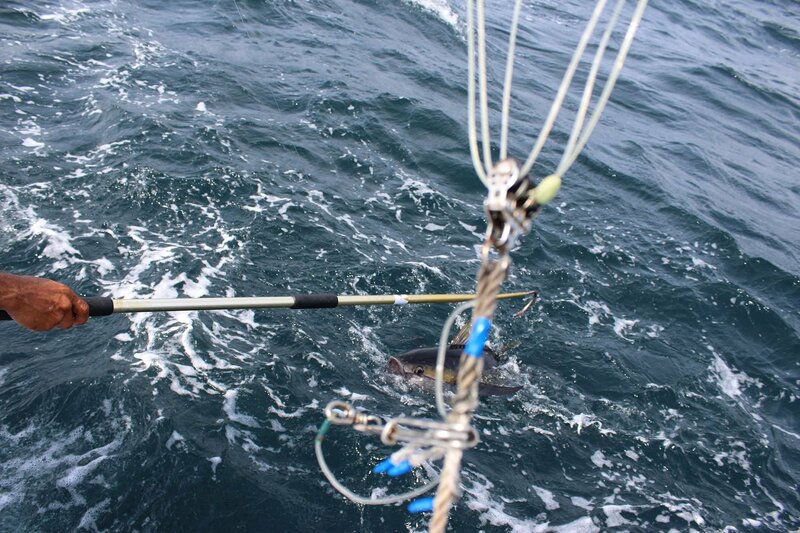 The Restless Lady fish everyday from mid May to October. 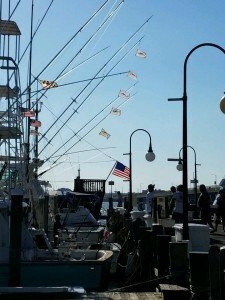 The Restless Lady has Got ‘Em On! 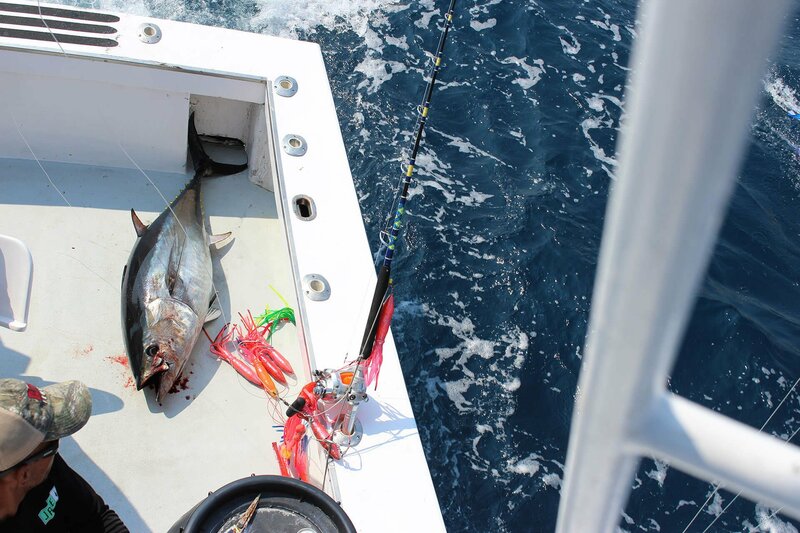 The fishing season begins in early May, with inshore bottom fishing and wreck fishing. 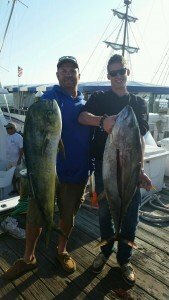 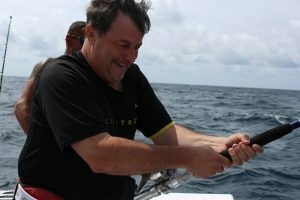 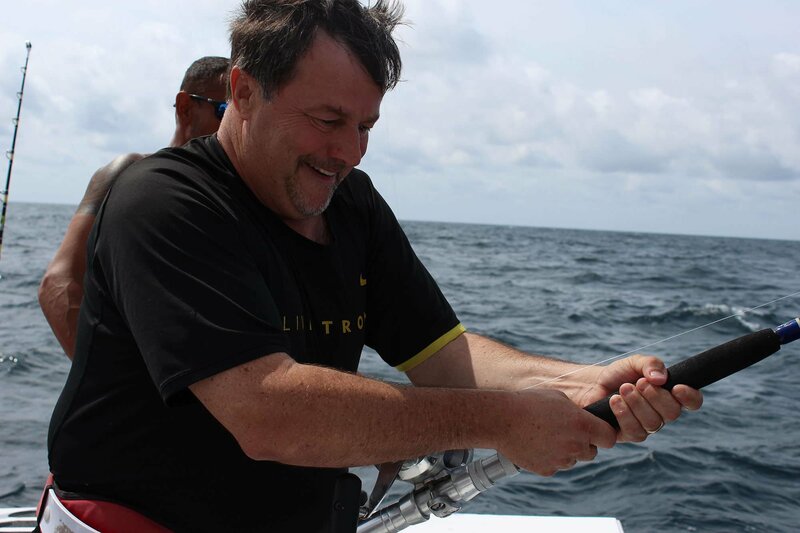 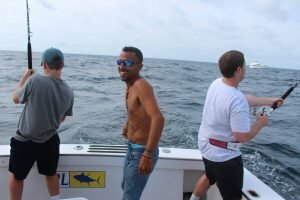 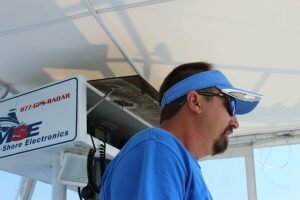 Just a short ride on the Restless Lady, the wrecks and bottom structures that we fish are just 8 to 10 miles off of the Ocean City shoreline, just a 30 m inute ride to the fishing grounds. 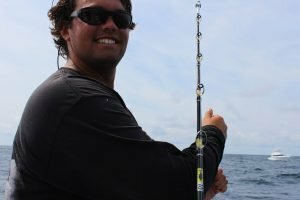 Black Sea Bass, Tautog and flounder are the catches you can expect during the spring fishing months here in Ocean City. 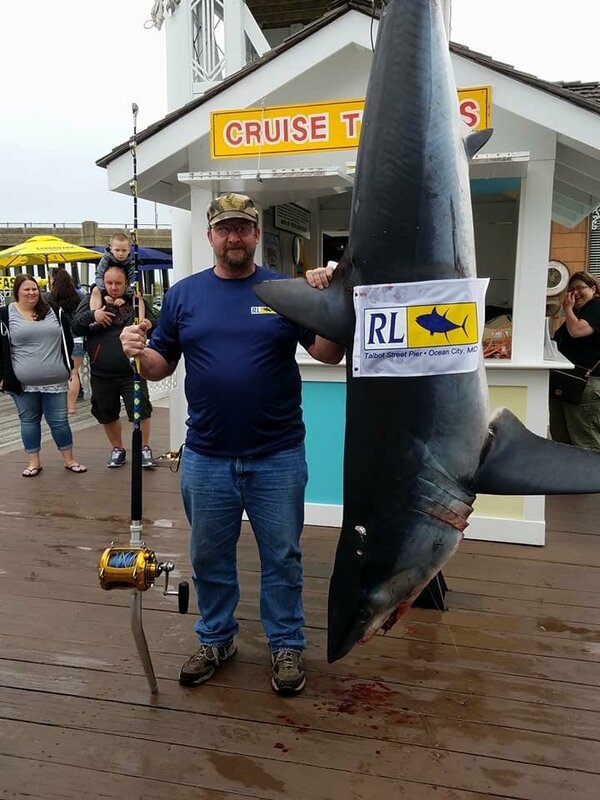 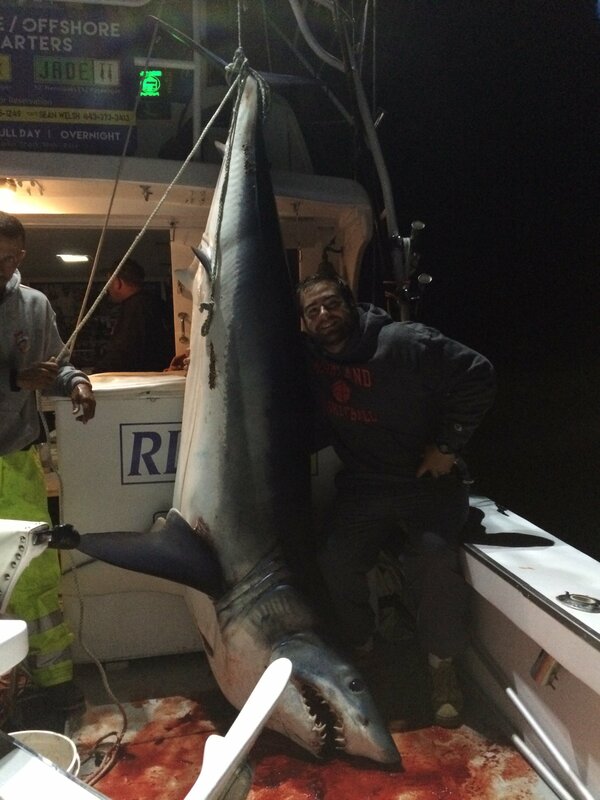 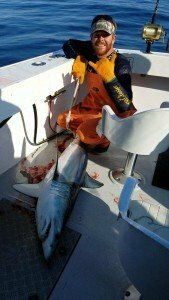 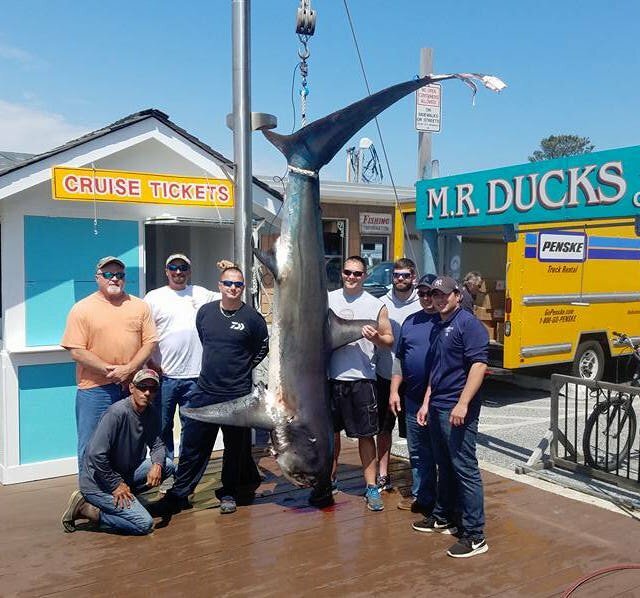 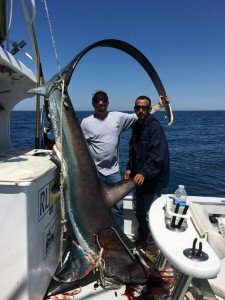 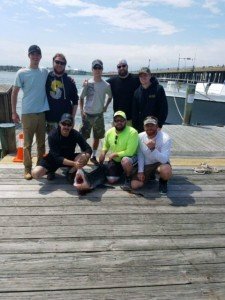 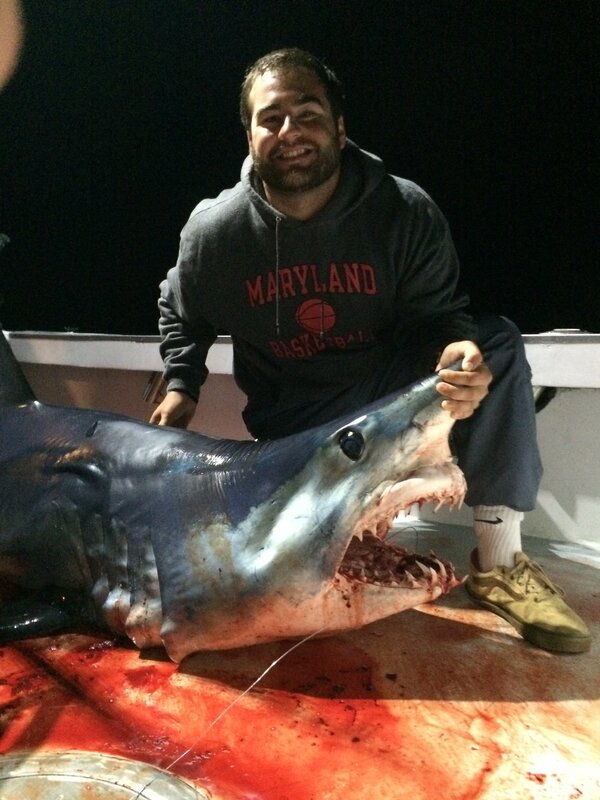 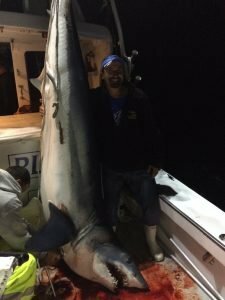 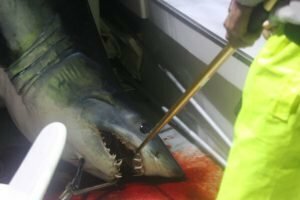 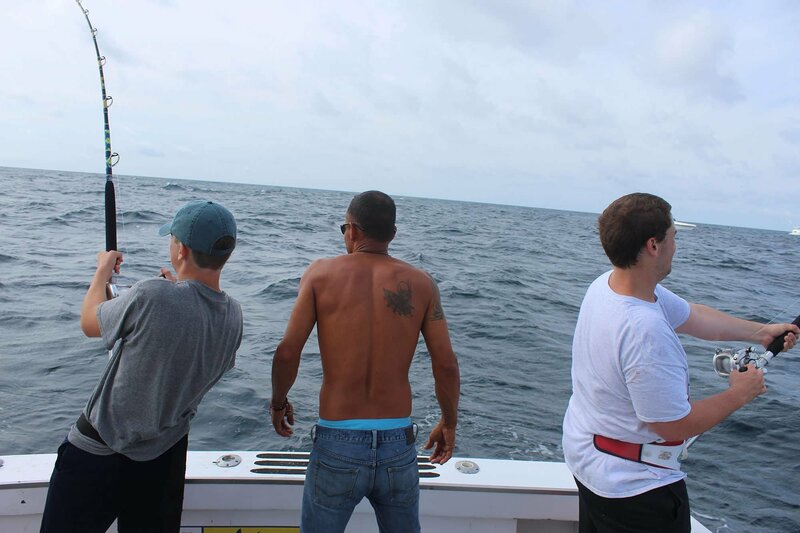 As May winds up, we start inshore shark fishing , which typically yields Mako Sharks, Thresher Sharks, Tiger Sharks, Dusky’s, Hammerheads and Blue sharks. 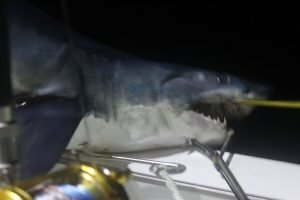 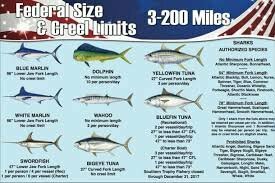 As the water warms up to the high 50s, we also start to see more sharks as a result of an increase in bluefish and mackerel activity (the preferred Mako diet). 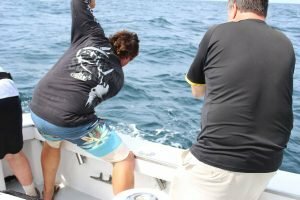 This is when the fun really begins! 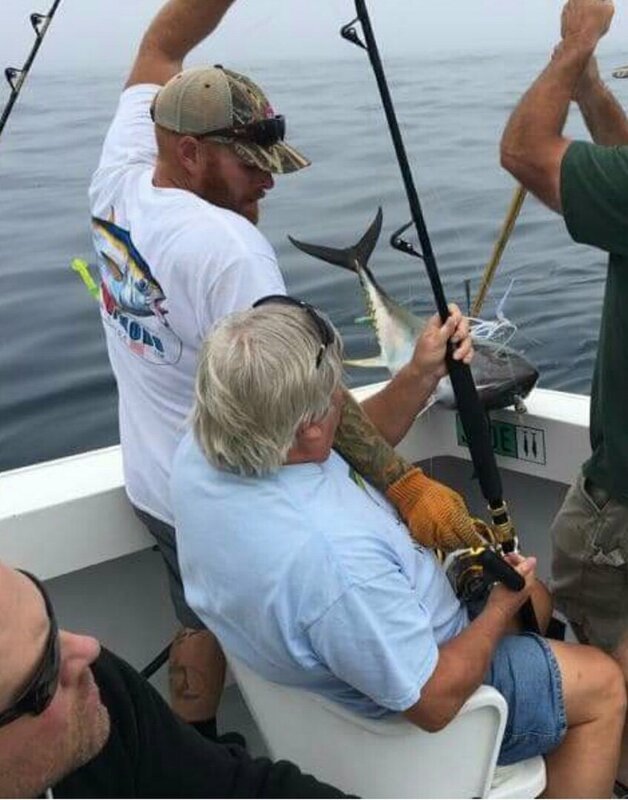 Fish with the Best, Out Catch the Rest! 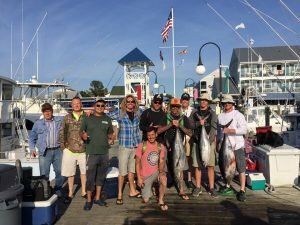 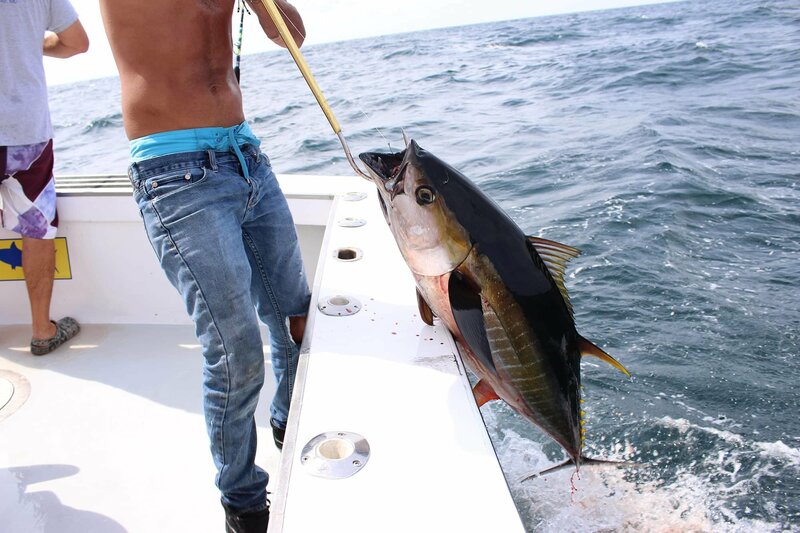 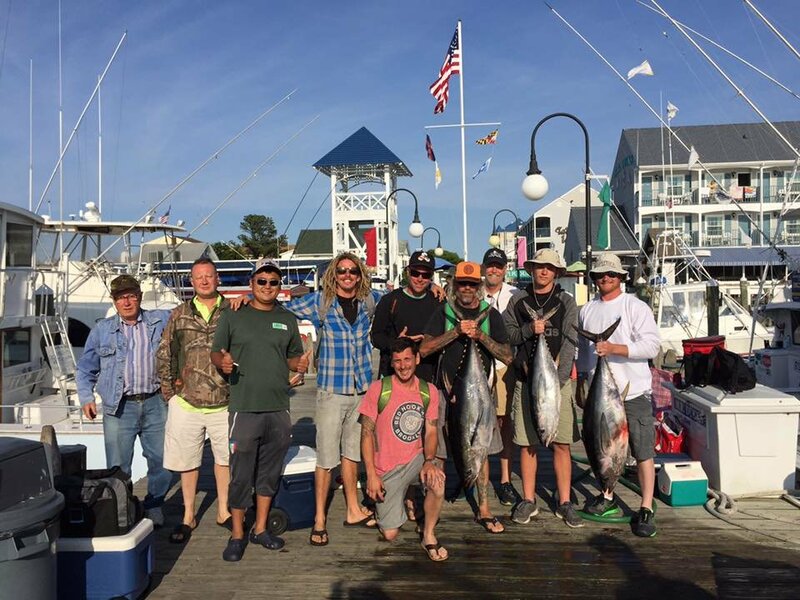 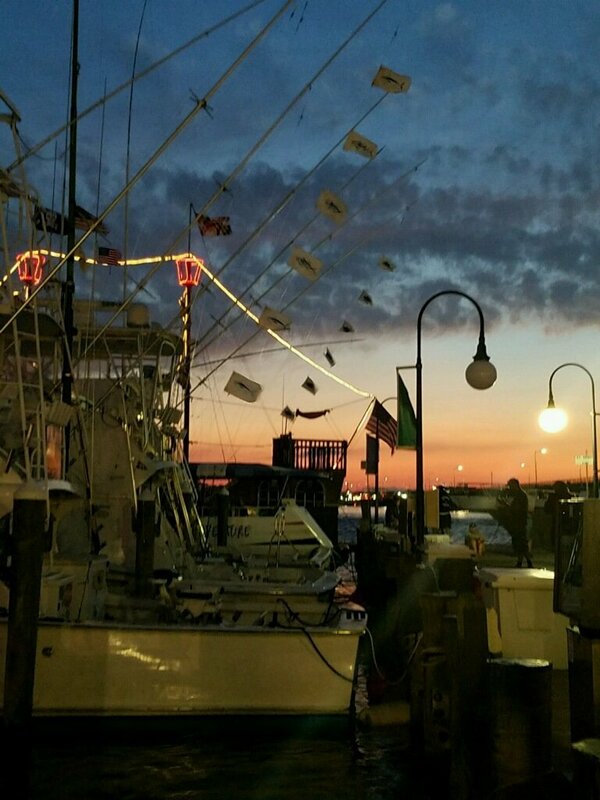 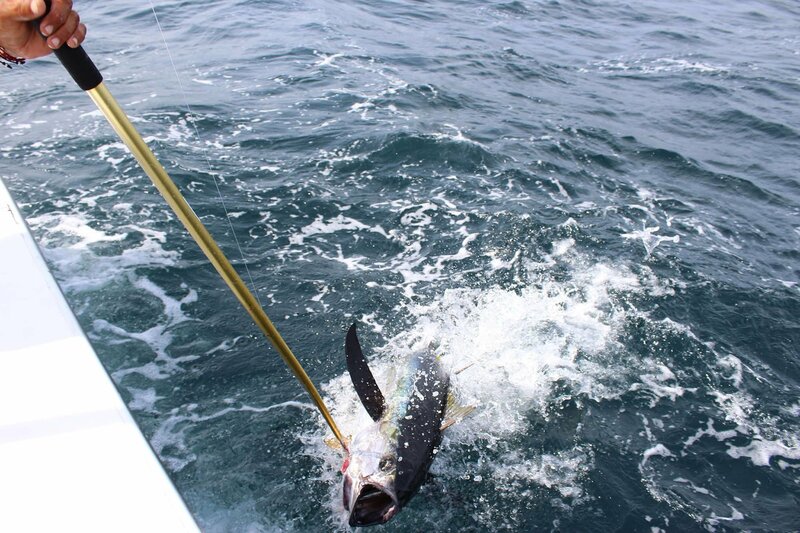 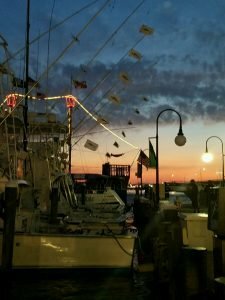 Select a date from the calendar below to book your fishing trip with Restless Lady Charters in Ocean City, MD. 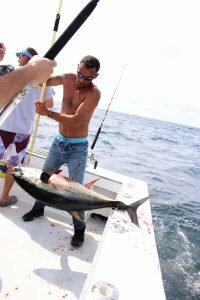 Questions on booking your trip? 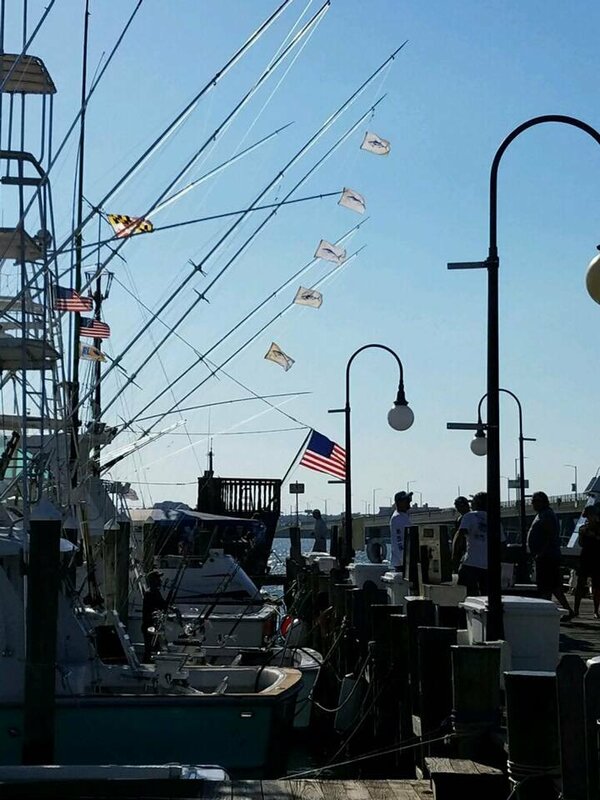 Please call us at 443-373-3413 or 443-995-1249 and we will assist you.